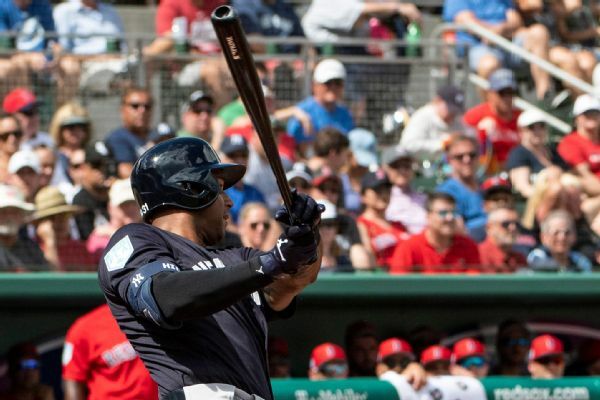 Yankees outfielder Aaron Hicks, who hasn't played since March 1 because of tightness in his back, said he's "doing great" after a second cortisone shot and is hoping to resume baseball activities soon. 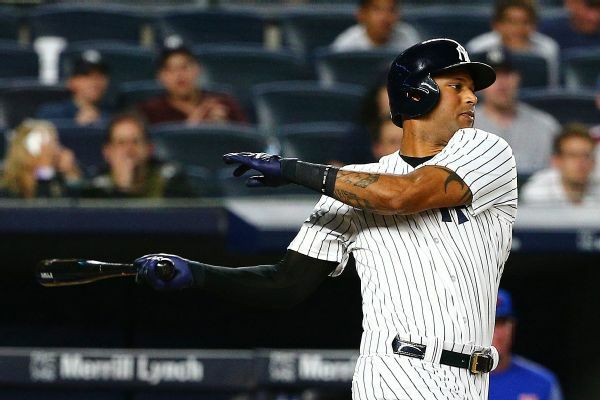 Yankees center fielder Aaron Hicks will miss the first series of the regular season because of a lower back injury he has been dealing with since March 1. 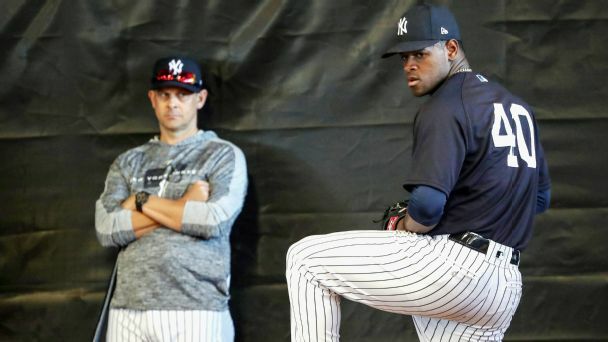 No Manny Machado or Bryce Harper, but extensions for Luis Severino and Aaron Hicks? Things worked out just fine the last time the Bombers locked up their core and complemented it with shrewd trades. 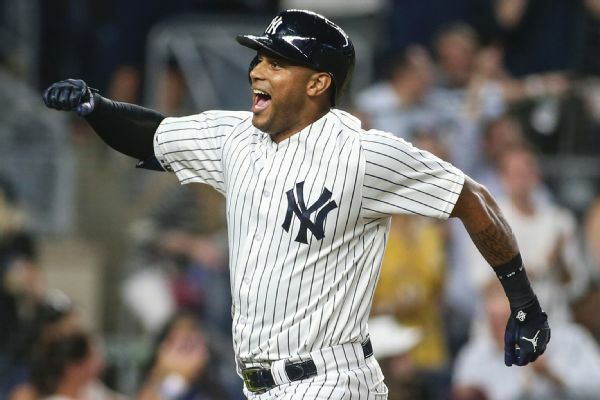 The Yankees have signed Aaron Hicks to a seven-year extension that will keep the outfielder under contract through the 2025 season. 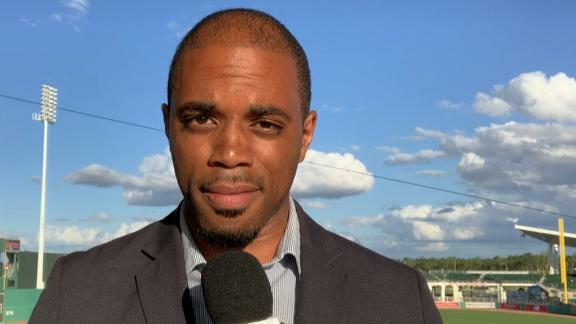 Coley Harvey reports on how Aaron Hicks has still not gotten over the Yankees being eliminated by the Red Sox in the ALDS. 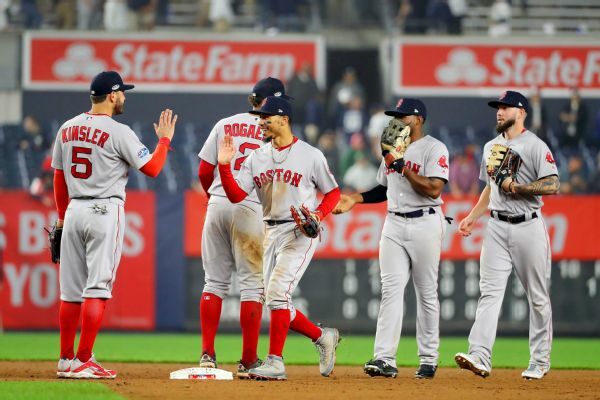 New York Yankees center fielder Aaron Hicks said he is still not over his team's postseason loss to the Red Sox, as the two rivals squared off in their first meeting since Boston's series-clinching Game 4 win in October's ALDS. 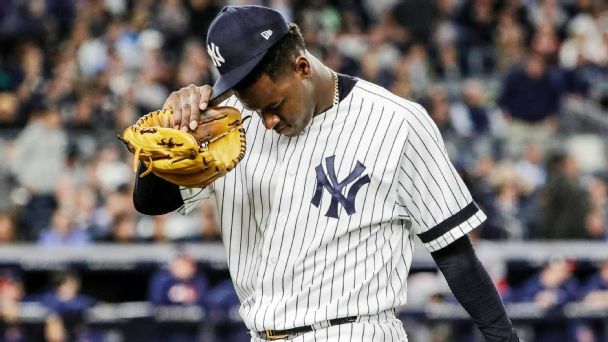 Brock Holt was out of the Red Sox lineup Tuesday, while Aaron Hicks returned for the Yankees. 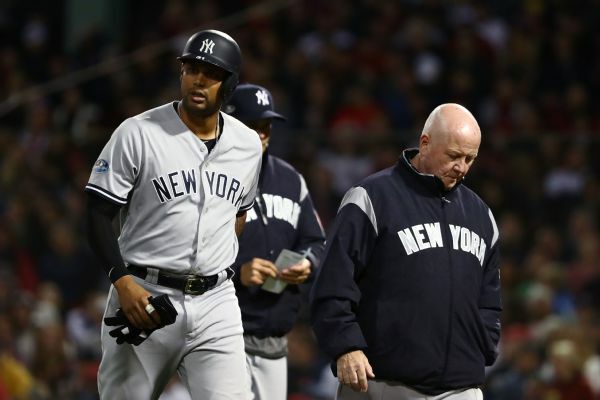 Yankees center fielder Aaron Hicks, who struggled with left hamstring issues as the regular season wrapped up, left Friday night's ALDS opener with hamstring tightness in his right leg.